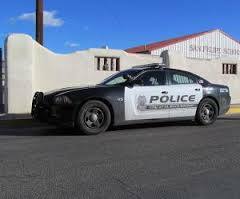 The Justice Department has issued a report on what it called “systemic deficiencies” pervading the Albuquerque Police Department, where officers have shot and killed at least 23 people since 2010. Most recently, the department faced scrutiny for the killing of James Boyd, a homeless man who appeared to be surrendering before police opened fire. The report calls for 44 changes to policies and training, including better procedures for handling the mentally ill. The findings were outlined by Jocelyn Samuels, acting assistant attorney general for the DOJ’s Civil Rights Division. The report also details abuses involving tasers, or stun guns, noting police once tased a 75-year-old man who refused to leave a bus station; tased and repeatedly kicked a developmentally disabled man who was unable to talk; tased a 16-year-old boy who refused to lie on a floor covered in broken glass; and tased a man who had poured gasoline on himself, thereby setting him on fire.